[Source: Yahoo!News] On Sunday, Nintendo issued a brief statement on its website confirming that CEO and president Satoru Iwata passed away over the weekend at the age of 55. After skipping last year’s E3 altogether, Iwata sent out a letter to shareholders informing them that during a routine checkup, a growth had been discovered in his bile duct. The physicians made it clear that the smart choice would be to have it removed as quickly as possible, so he opted to have surgery sooner rather than later. 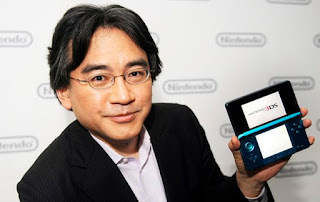 Iwata has been the face of Nintendo for well over a decade, helping to shepherd in the GameCube, the Wii, the Wii U, the DS, the 3DS and thousands of games that have released over the past three console generations. I’m personally going to miss the incredibly enlightening (and humorous) Iwata Asks sessions in which the president of the company sat down with groups of developers to discuss their games. He was one of the most passionate executives the industry had ever seen, bringing his personality to the forefront every step of the way. It’s a tragic loss for the industry and one we won’t soon forget. Rest in peace, Iwata-san.